Dr. Pawan is a business consultant, management guru, entrepreneur, author and internationally-acclaimed motivational speaker. 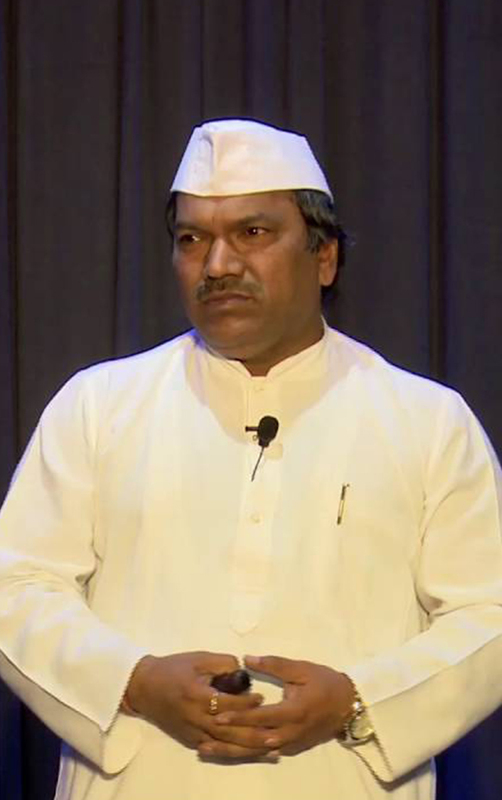 In his most popular sessions, he talks about the supply chain management of the famous dabbawallas of Mumbai, delivering lessons on managing time, satisfying customers, ensuring quality, and handling logistics. A true educationist, Dr. Pawan was once a teacher himself. He is the founder and president of Kamalabai Educational and Charitable Trust, Mumbai. He has been at the receiving end of various awards and accolades such as the Rajiv Gandhi Puraskar, Certificate of Honorary Fellowship 2008 by Indian Institute of Material Management, Vocational Excellence Award 2008-09 by Rotary Club, Best International Motivational Speaker Award 2016 by Business & Entertainment Global and most recently the Game Changer Award by the Economic Times. He has consistently been a highly-sought speaker and has delivered sessions for several distinguished forums, top educational institutes, and fortune 500 companies, including TEDx, Cadbury, Volvo, Tata Motors, Shell India, Maruti Suzuki, Vodafone, Dell, IBM, Microsoft, Hindustan Unilever, Coca-Cola, etc.